The Fire on the Mountain Follies brought out the best of both adversaries. The dancers were on their toes, ears pricked to take in every beat. The Tennessee Valley Authority band was dangerously fast. I guess we could call this competition a draw since TVA hit every lick and we never missed a step. The real winners were the individuals who packed the Blue Cactus Café to attend this event which featured the hot pickin’ of the award-winning TVA and the quick steppin’ of the Fire on the Mountain Cloggers. Although the concert was free, donations were accepted for the American Red Cross and their hurricane relief efforts. So attendees themselves benefited from the delicious food, great entertainment, and the opportunity to contribute to a worthy cause. 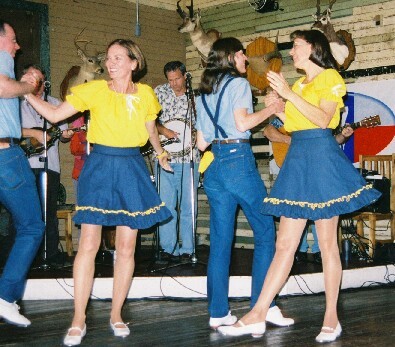 The Follies, also known as the “Battle of Feet Against Frets,” challenges the Fire on the Mountain Cloggers’ ability to perform intricate dance steps at the lightning speed of Hank Harrison’s award-winning Tennessee Valley Authority. The concert is an opportunity for the whole family to enjoy a fun atmosphere, friendly folks, and a great location. 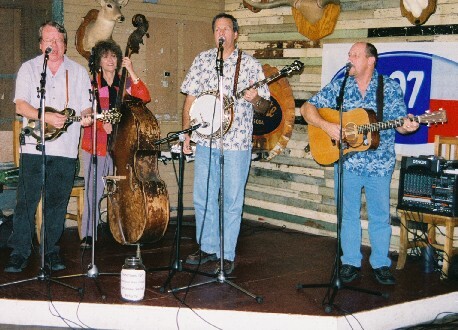 Hank Harrison and the Tennessee Valley Authority play at various venues across the state. Visit their website at www.tvabluegrass.com to check out their schedule.